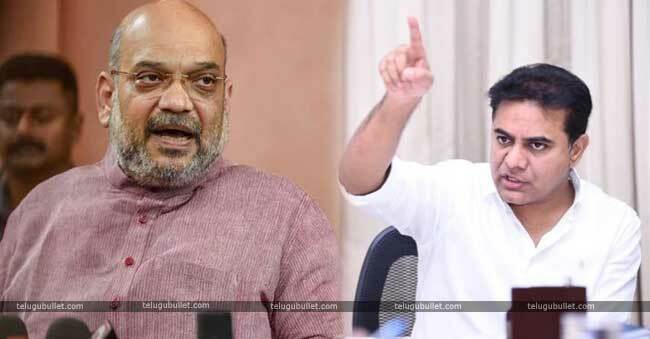 The IT and Panchayati Raj Minister of Telangana, K. Taraka Ramarao has given a stunning reply to the BJP’s chief Amit Shah.As we all know, Amit Shah has tweeted in Telugu for the first time and alleged the TRS directly by stating that it has taken an anti-people stand. Amit Shah has also demanded the ruling party in Telangana to explain the people clearly why they are not implementing the Prime Minister’s brainchild programme Pradhana Mantri Jana Arogya Yojana. He has given a call to all the members of the state BJP to go to each and every house and explain what’s happening with the Telangana state. Giving a befitting reply to Amit Shah, KTR has responded stating that Amit Shah is clearly misinformed. KTR gave a stunning reply by saying that Arogya Sri is way far superior in all the terms when compared to PM-JAY. 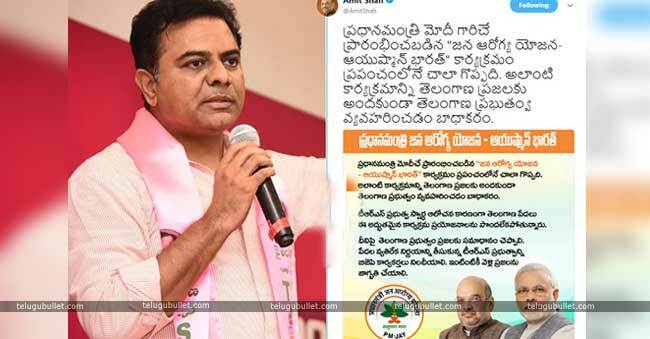 KTR has also mentioned that Arogya Sri is applicable to 80 lakh families whereas Ayushman Bharat is confined to 25 lakh families only. He further stated that Ayushman Bharat has its own limitations and Arogya Sri is way ahead on when compared to central government’s scheme.